Maybe you’ve always dreamed of riding your bike to work. You know, wind in your hair, starting each morning out right with a workout, but then you worried about smelling like you went for a bike ride that morning. Or you worried about where to store your bike. Downtown employees, worry no more! St. Louis just opened the Downtown St. Louis Bicycle Station at 1011 Locust Street, across the street from Left Bank Books. The new commuter station is a 1,400 facility with over 100 bike racks, 70 lockers, and five showers and facilities with key-coded access. 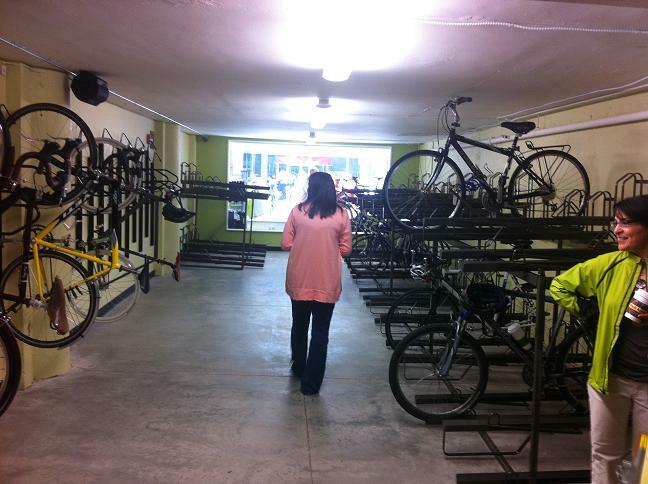 In addition to the storage area, Big Shark Bicycling Company opened an location adjacent to the station, Urban Shark. The cost of membership to the bike station is $150 annually, or $20 a month with a $20 initiation fee. Register with Trailnet. Remember, if the weather turns for the worse or you don’t want to ride home, the 8th and Pine MetroLink Station is 3 blocks away to bike and transit home. Biking to work is a great way to save gas money, improve your health, keep more cars off the road, and promote a vibrant bicycling community. 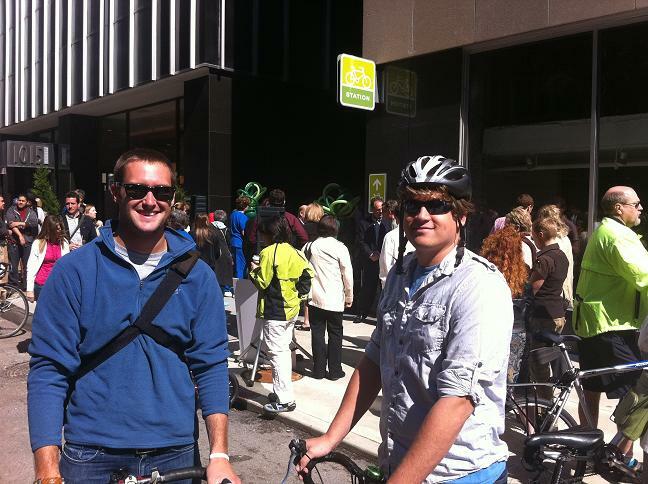 Do you plan to use the Downtown Bicycle Station? Do you plan to bike to work more often, now that the nice weather was returned? As a cyclist, I am happy to see the facility open – and I think it’s a great move by Big Shark to open Urban Shark next door. It doesn’t help my commute any, however, since I live in the city and work out of it. I will definitely be riding my bike more now that it’s warmer out – and with the new bicycle station, I’ll even be able to shower before work. But I’ll probably still be storing my bike in my office – with a folding bike, storage is not an issue for me! I’m really excited about the idea of what led this to happen. I am grateful that there are enough people wanting to bike into work downtown that they’ve created the demand for this. Seems to me that parking garages charge about $40 a month, so it would be half the cost of parking. Has Trailnet pursued employer subsidized annual membership ? Or a per-use based fee ? Both those could generate even more excitement for the use of this station. Hopefully it will increase the pressure on MODot to plan for bicycle lanes. I do believe Trailnet is working with employers for annual membership, as I heard a Baron McCormack Salazar employee mention they have a corporate membership. I didn’t see any per-use fees yet, so we’ll see if it will be built into the fee structure. I work downtown, and parking in the areas near the bike station runs from $65 to $130 a month!